GOAT, a rare shoe marketplace, started using Dwolla and improved its sellers’ experience, decreasing support-related tickets by 80%. According to MarkMonitor, 24% of consumers have been tricked into buying fraudulent goods online. For the luxury sneaker resale market—worth an estimated $1 billion—a trustworthy business model and platform is critical. Having become the leading mobile marketplace for sneaker enthusiasts, GOAT’s “hybrid” model might just be the trick. Sellers list their rare sneakers to the mobile marketplace. When sneakers are purchased, the seller will ship the kicks to a centralized fulfillment center for inspection and quality control. Once verified as authentic, the shoes are sent to the buyer and the seller receives their funds. GOAT would use a well-known family of payment services to collect mobile payments, hold funds and distribute money to sellers. But this payout flow created unsustainable costs for a two-sided marketplace and friction for its sellers. 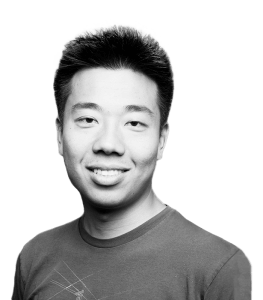 GOAT Co-founder Eddy Lu said at this payout flow worked fine until the company started to scale. GOAT needed a non-branded ACH solution that could be implemented quickly, scalable and complement its existing buy-side processor. They integrated Dwolla’s API in ten days while maintaining end-to-end branding and mitigating direct and indirect costs. The simplified funds flow and webhook notifications decreased cash-out related support tickets by 80% and time to resolution by 50%. Ideally GOAT sellers should be able to simply enter their bank account and routing number to direct funds to their bank accounts or, better yet, use the new funds to purchase sneakers back from the platform. Their existing experience created a host of challenges, requiring sellers to sign up for and transfer funds between up to two, third-party e-wallet services. This process meant funds could take up to seven days to reach a seller’s bank account, inhibiting their ability to repurchase from the marketplace. Unfortunately, GOAT’s existing family of payment services enforced limitations and burdens on the cash out process. But by owning the customer experience from end to end, GOAT eliminated the need to redirect sellers to multiple third-party sites in order to register for different digital wallets. This reduced sellers’ time to liquidity from up to seven days to an average of two and increased bank transfer payouts by 50%. GOAT was satisfied with its buyer checkout process, but not its seller payout experience. The friction and limitations had increased complaints and time to resolution for customer support. GOAT needed a plug-n-play solution to complement its existing pay-in flow and compliance requirements. 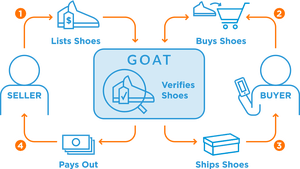 By integrating with the Dwolla API, GOAT was able to automate payment flows and initiate bank transfers through the ACH Network. Dwolla’s webhooks allow GOAT to offer real-time custom status notifications to its sellers.